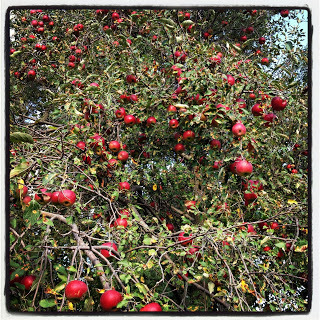 We have two apple trees in our yard. I am told one is a Wealthy tree and the other is a Jonathan tree. These trees are pretty old! Last year the apples weren’t very good. They were really dry due to our long, hot, dry summer. This year they are a lot better! I’ve already made Freezer Apple Sauce with some of the Jonathans, but there are so many more! We picked boxes (like eight boxes) of apples the other night and now I just have to find the time to do something with them! In the past I’ve made Apple Pie in a Jar and Single Sour Cream Apple Pies along with dehydrating a bunch of them to eat for snacks, making apple butter and just freezing sliced apples for pies later on. For a church breakfast the other weekend, I made my Aunt Nancy’s coffee cake. 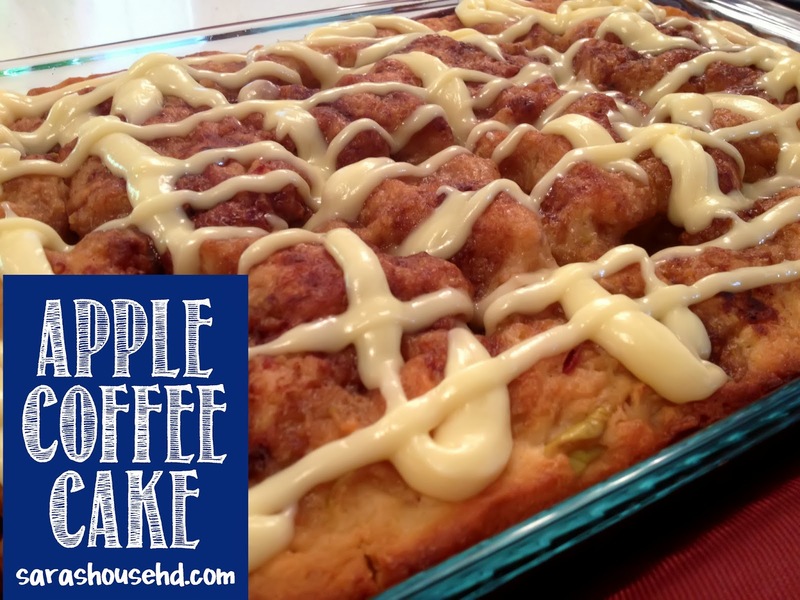 I put apples in it and added a cream cheese glaze. Here’s the recipe for it! (Note: I would recommend NOT doubling it like I did in this picture. It was too thick I thought and is much better in an 8×8 pan.) Enjoy! Something that I’d like to try this year is to make apple pie filling like this. So hopefully Sunday my kitchen will smell delicious! For more ideas check out my Apple Pinterest board or go to the US Apple website for Tips and Tricks for Preserving Apples.